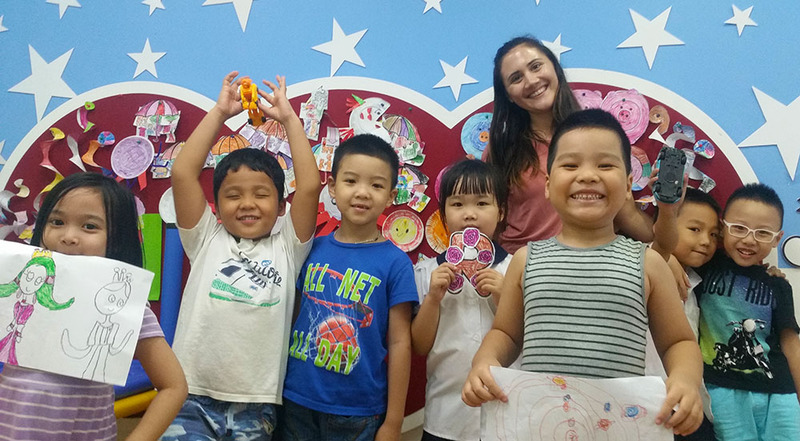 "Since Robyn’s immersion in the Vietnamese culture, she has shown growth personally and professionally. Her ability to empathize and share her ideologies with others have built morale within our working environment. In addition, she has learned how to adapt within the unconventional situations faced when living in a world unknown. It’s evident that the skills and values she developed at Point Park University have been implemented not only in her journey as an educator, but also in her personal endeavors." How did your global cultural studies degree inspire you to teach internationally? It’s actually because of a professor at Point Park University, Dr. Robert Fessler, and his class that led me to want to teach abroad — and especially to explore Vietnam. In his Cultural Psychology class, we were watching a video of the seemingly chaotic flow of traffic in Vietnam and that imagery always stuck with me. I wanted to experience a way of life totally different than one I was born into. Tell us about your experiences living and working in Hanoi, Vietnam. Living in Hanoi is everything I thought it would be and nothing I thought it would be — in a good way. It’s a city of dichotomy. It’s both fast paced and incredibly chill; intense yet kind; hip, but still wonderfully traditional. Every day feels like an adventure. The architecture is beautiful. The food is fresh and delicious. The countryside is stunning, and the people are amazing. It’s a perfect work-life balance. What do you think makes Point Park and its global cultural studies degree major unique? The global cultural studies program is unique because you touch on topics that you otherwise would not encounter in a traditional educational setting and really dig deep to critically think on those subjects. I can’t imagine anyone who takes a single GCS class leaves without having their world view shifted in some way. Some of my favorite memories at Point Park took place both in and outside of the school. I loved my major, my professors and my classes. Other than that, exploring the city with friends was also a favorite thing to do. What advice do you have for our students who are looking to work internationally? Do it! There’s plenty of work abroad. You learn so much about other ways of life and grow so much as a person when you go beyond your comfort zone. I couldn’t recommend living and working in Southeast Asia more!